SKU: DY2. Categories: Bed Sets, Dima Yastronaut. Dima started out his career in 2009 by designing commemorative show posters for his favorite musicians. 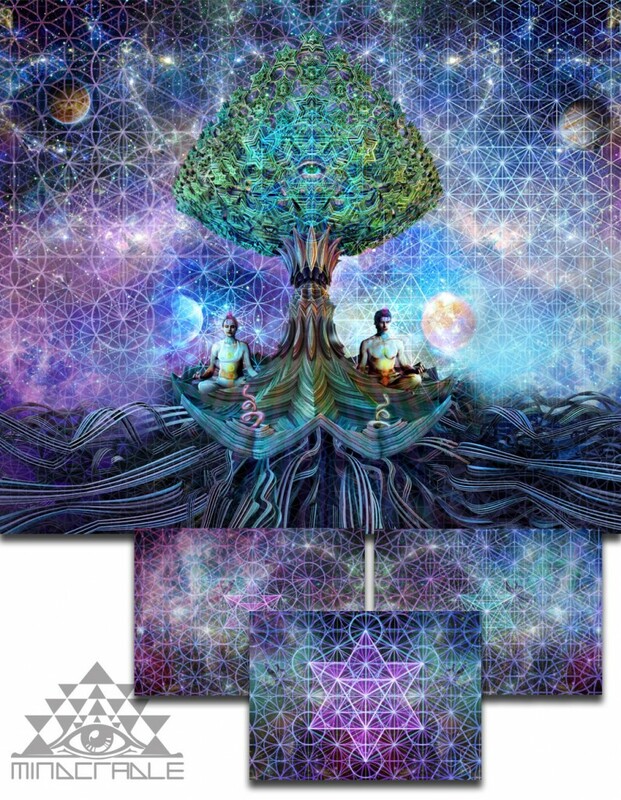 After graduating with a Bachelors degree in graphic design he started on a freelance journey to creating art for a living driven by his love for visionary art and music. This path has opened doors to an abundance of inspiration, love and motivation to elevate his art to transcending dimensions. Always trying to push the limitless boundaries of creativity, Dima attempts to communicate with his work on a spiritual level as it is what the our world needs at this time. His art is created by a meditated arrangement of pixels that are meant vibrate sacred frequencies into our existence.